Its Halloween time and everyone has been dressing up to look gothic so why not have some gothic food too, say Goth ice cream? Yea you may get it in India too but this post is about Little Damage in Los Angeles, USA which impressed me during my recent visit to LA for MTV Video Music Awards. 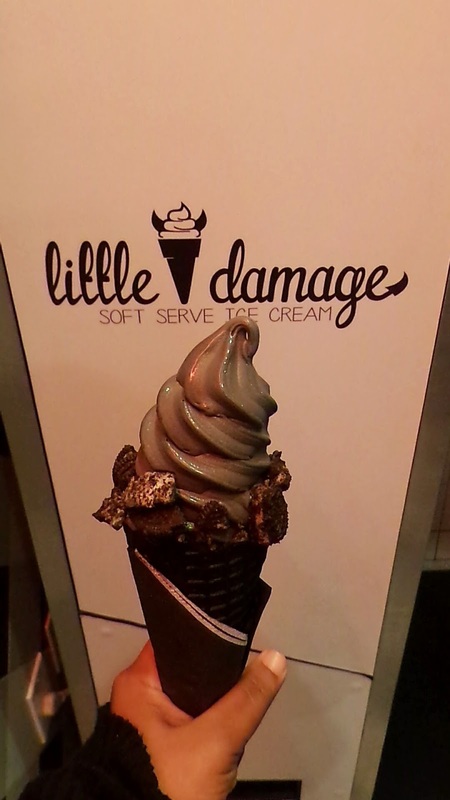 Located in Downtown LA, Little Damage is famous for black soft-serve ice-cream with black cones too. 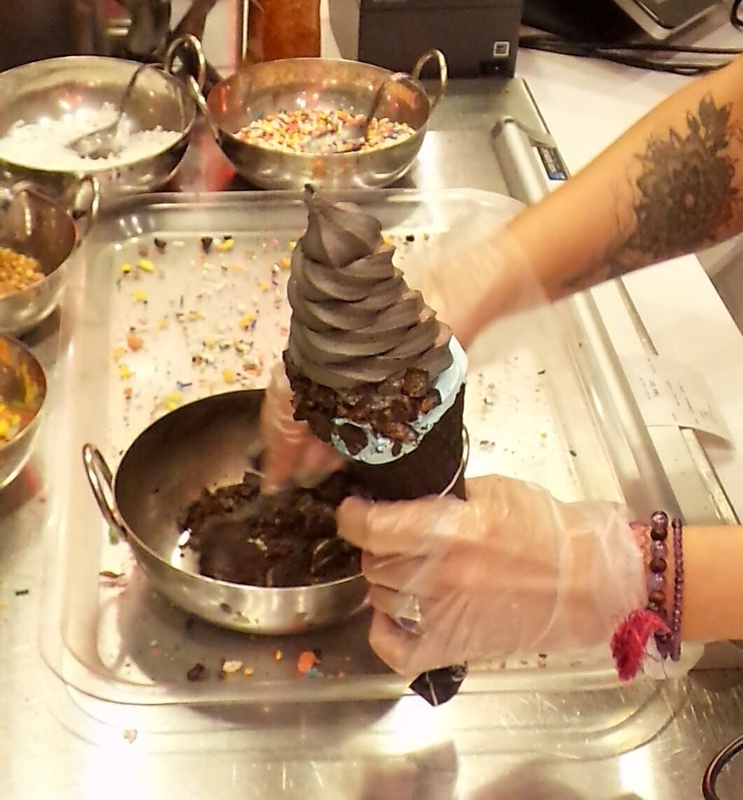 They serve many flavors which are made in small batches and they usually sell out pretty soon. They rotate their flavors seasonally which will have at least one vegan option for all those who want to enjoy it dairy-free. Their signature black cones are naturally colored with activated charcoal and hand rolled minutes before you get one. 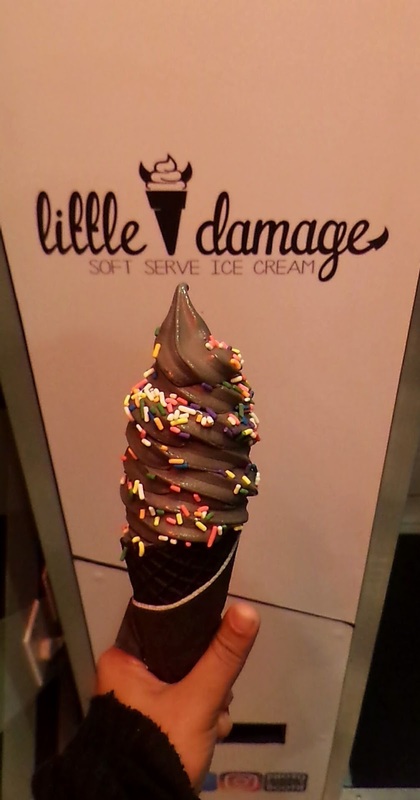 Their black soft serve is also with activated charcoal. You can top your soft-serve with shaved coconut or oreo and if you feel colorful then top it with rainbow sprinkles or fruity pebbles. The taste of black soft serve ice-cream was very different and delicious. 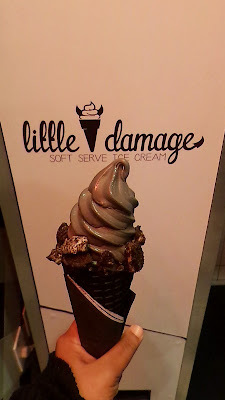 So if you are in LA then make sure you visit Little Damage as missing it will cause a major damage in your food experience. 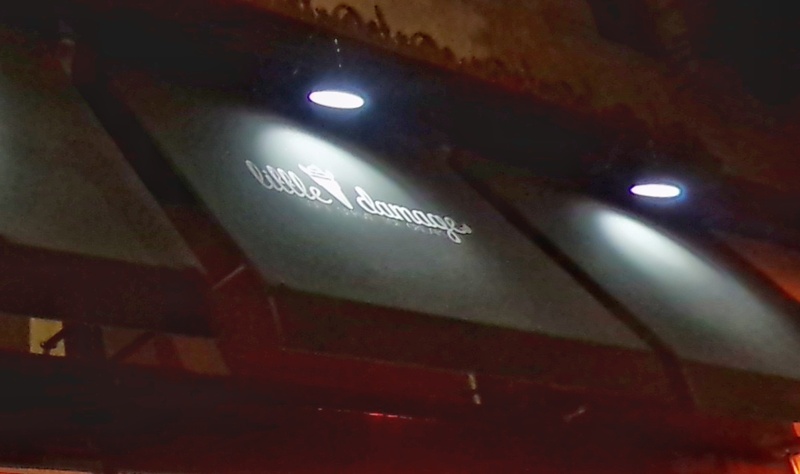 Oh yeah, they have a photo booth too to treasure the memories at Little Damage so get those phones clicking and you get posing.